Vizio's SmartCast devices already come with Google Cast functionality built-in. Now they work with Google Home too. In 2016, Vizio was big on building Google Cast support (the underpinnings of Chromecast) into its TVs, home theater displays, soundbars, and wireless speakers via the SmartCast line. For 2017, Vizio's adding Google Home compatibility. Instead of casting media from a phone or tablet (like a sucker!) Vizio owners can now verbally order Google Home to play music from Spotify on the living room speakers, or start binge-watching Netflix’s The Crown in the den. 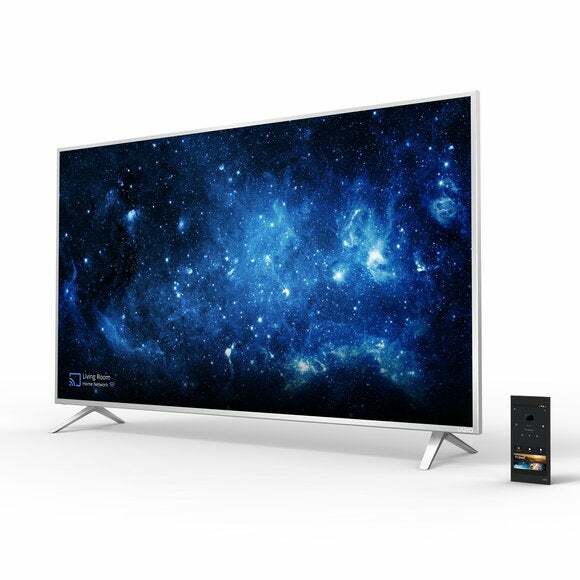 The new functionality is available now on Vizio’s SmartCast E-, M-, and P-Series televisions and home theater displays, as well as the company’s home theater sound bars and wireless speakers. Home integration allows for a variety of voice controls for anyone who owns Google’s smart speaker and a Vizio SmartCast device. You can, for example, adjust the volume, start or stop playing music, as well as skip or repeat a music track. Video controls for Netflix are similar, including the ability to rewind a video or skip to the next episode in a series. Vizio has also added the ability to power on displays and TVs via Google Home using the Quick Start Power Mode—a user-activated feature that will eat up a little more power than regular standby. Let’s say you wanted to play Netflix’s Narcos on the upstairs TV. Using the command, “Okay, Google Play Narcos upstairs” would not only start the show on that TV but also activate the television. The story behind the story: While Quick Start Power Mode is a nice-sounding feature, most people with a newer television set can do this just with a regular Chromecast and Google Home. Newer TVs usually come with a feature called HDMI-CEC (HDMI Consumer Electronics Control) that lets connected devices such as Chromecast have limited control of the television set. When CEC is enabled for the Chromecast’s HDMI port the TV can be turned on or switch to the correct input via Google Home or casting from a smartphone.